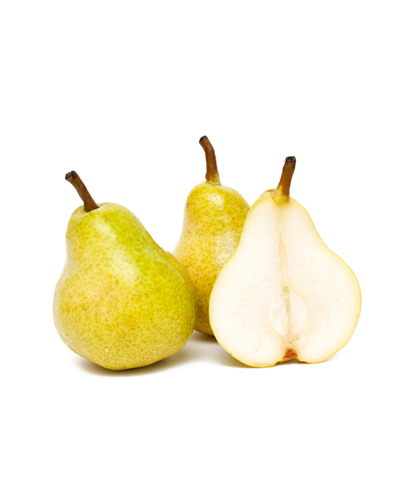 There are over 3,000 varieties of pears, the three most common varieties being Bartlett, Anjou and Bosc. This fruit gets juicier as it ripens and ranges in taste from a spicy-sweet to a tart-like sweet. Many people don't realize that pears are a source of fibre. 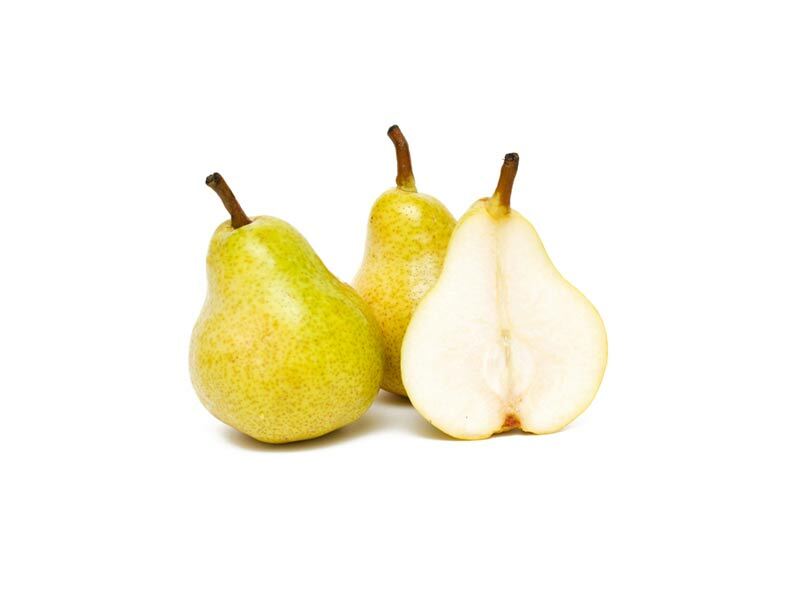 With only 58 calories, a medium-sized pear holds 3 grams of fibre or 12% of the recommended daily allowance. Pears also pack 4.2 mg or 7% daily value of vitamin C and provide 119 mg of potassium. They contain no sodium, saturated fat or cholesterol. Source: Canadian Nutrient File.